« How will rising rates impact real estate market activity? Property prices around the country have had quite the rally since the Fed decided to drop interest rates to stimulate the economy back in 2009. After seven years of asset price reflation aka “the recovery”, there are a variety of factors that may send property prices downward. Today we will look at the decline in sales volume, which is usually means that price drops are not far behind. 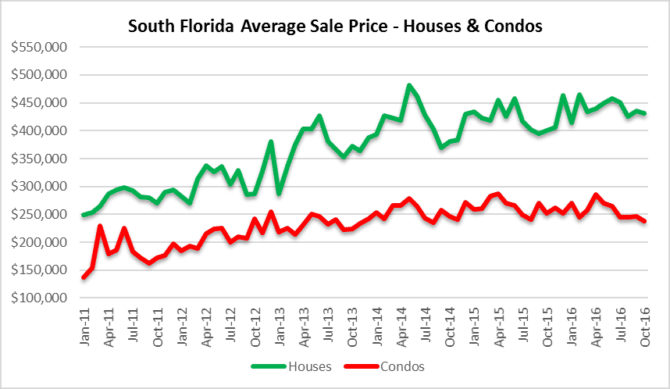 During the month of October, the average house price in the South Florida market dropped slightly to $430,856. That represents a 6% decline from June, which is the point where we believe this market peaked in sales price and volume. As for condos, the average price has already declined to 237,889 in October which represents a drop of 10% since June. Also worth noting is that the average sale price of condo properties has declined for six months in a row. 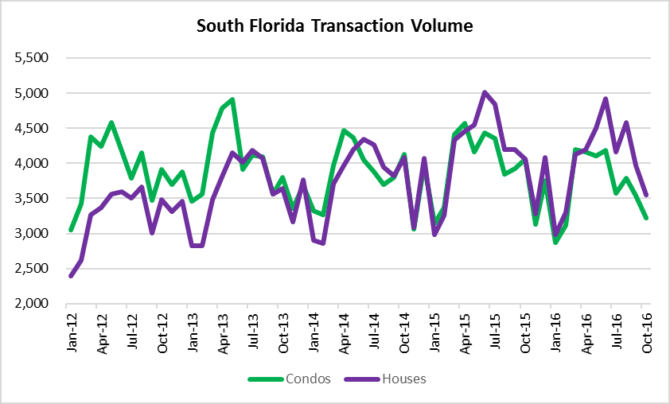 Here is a snapshot of the total sales volume for Miami-Dade, Broward and Palm Beach County Florida. The reason we believe this is a set up for price declines is that this chart does not include November where rates started to climb substantially. If deal volume was dropping before rates climbed, what will happen if rates normalize? 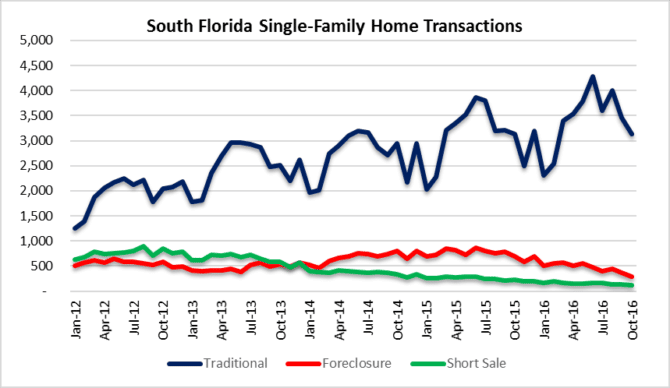 Existing inventory will have longer days on market and will be followed by price declines. 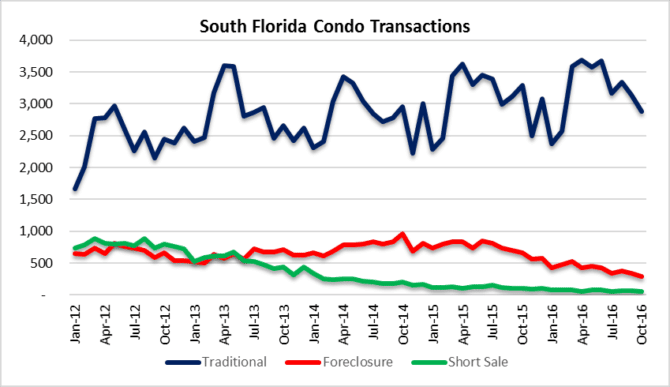 This entry was posted in Condo market, Market Insight, Single-family homes, South Florida Real Estate and tagged condo prices, Florida real estate, Fort Lauderdale real estate, home prices, Miami real estate, Palm Beach real estate. Bookmark the permalink. Trackbacks are closed, but you can post a comment.